The most common New Year’s resolution is to get more exercise. But according to Time, it’s also the most common resolution to break. Here are a few of the best fitness headphones available at Best Buy to help you start your resolution off right–and get on track to keep it for the rest of the year! On-ear and over-ear headphones are preferred by many music enthusiasts for their sound quality and naturally sound-isolating design, but they’re not always ideal for working out. If an activity is going to involve a lot of jostling or any water, I always opt for waterproof in-ear headphones instead. That being said, more traditional headphones can still be a great option for working out. They provide comfort and isolation while also acting as a fashion accessory (headphones, after all, are to workout clothes what watches are to suits), and they’re less likely to get crushed or lost in your gym bag. On-ear headphones are often preferred for working out, as their lighter design makes them less likely to shift or dislodge compared to over-ear headphones. They’re a good compromise between sound quality (for which over-ear headphones are unparalleled) and security (for which in-ear headphones are great with). 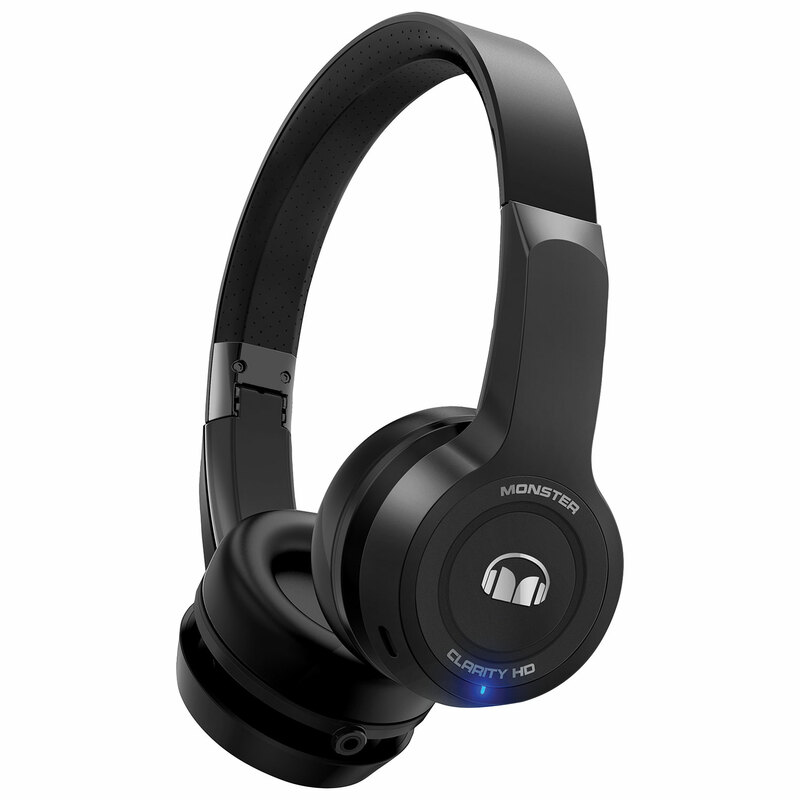 Monster is a very popular brand with fitness enthusiasts, and their Monster Clarity HD On-Ear Sound Isolating Wireless Headphones are a versatile model that will work for many scenarios. They’re ideal for weightlifting and other equipment-based activities, including running on a treadmill. The Monster Clarity HD model lets you listen to music 3 different ways: Bluetooth, for when you’re at the gym; wired analog, for when you’re at home; or USB Hi-Res Direct Digital Audio, for when you’re working on creative projects at your computer. The lack of wires means you can’t get tangled up in them during your workout, and the “advanced digital echo suppression” helps filter out sounds like the treadmill or a gym air conditioning unit. Non-slip silicone head padding helps keep the headphones secure during your workout. 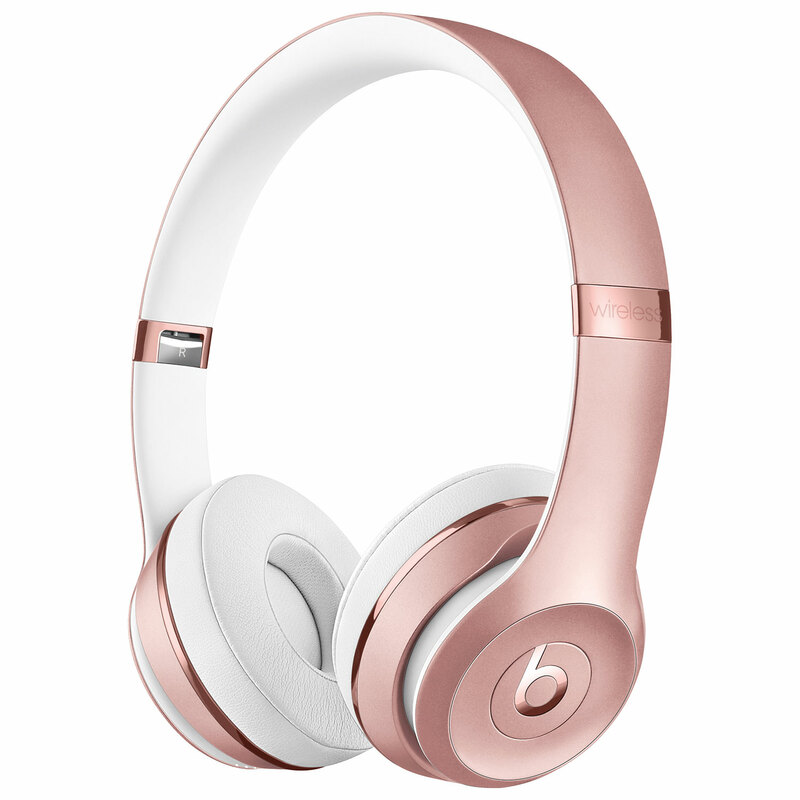 The Beats by Dr. Dre Solo3 On-Ear Sound Isolating Bluetooth Headphones are another popular sound isolating set of fitness headphones, with on-ear controls and Bluetooth connectivity. Like the Monster Clarity HD Headphones, the Beats by Dr. Dre Solo3s are designed with a built-in microphone (two, actually), and the impressive Beats battery delivers 40 hours of use on a full charge. If you’re always forgetting to charge your headphones before you work out, it’s not an issue: they’ll give you a massive 3 hours of playback on a 5 minute charge. For low-impact activities like walking or cycling, an over-ear headphone model may still work, depending on fit. The Sony Over-Ear Sound Isolating Wireless Headphones with Mic are a great place to start. These headphones connect through either Bluetooth or NFC, with a built-in mic and up to 30 hours of playback. Earbuds and in-ear headphones are always my choice for working out. While they don’t offer the same kind of luxurious sound quality as on-ear and over-ear headphones, their small design often makes them more comfortable for vigorous activity. 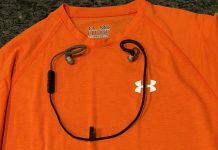 I prefer true wireless earbuds (more on that below), but wireless fitness earbuds are another great option. They’re wired only between the two earbuds, making them harder to lose and harder to accidentally step on. 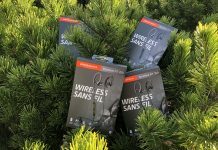 The “wireless” design means they won’t get tangled between your phone and your ears, and they connect to mobile devices through Bluetooth instead of a headphone jack. When buying fitness earbuds or in-ear headphones, make sure that the design you pick comes with a “fin” or “tips.” These extra pieces (often made from flexible silicone) help fit the earbuds more securely into your ears, minimizing movement during your workout. 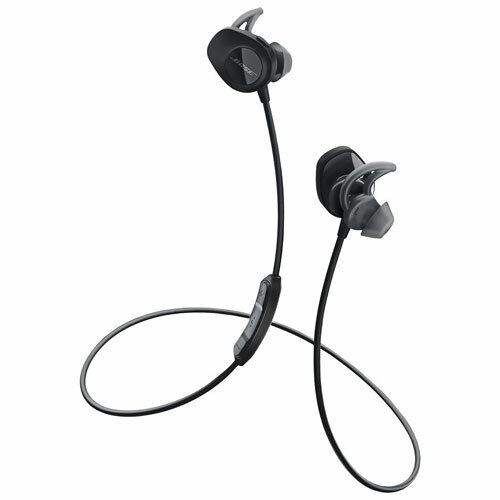 The Bose SoundSport In-Ear Wireless Headphones are a great choice that are designed specifically for fitness; similarly, the Monster iSport Victory In-Ear Sound Isolating Bluetooth Headphones with Mic and Jaybird Freedom 2 In-Ear Sport Headphones are also made with sports in mind. For swimming, however, a walkman/earbud combination may suit your needs best. 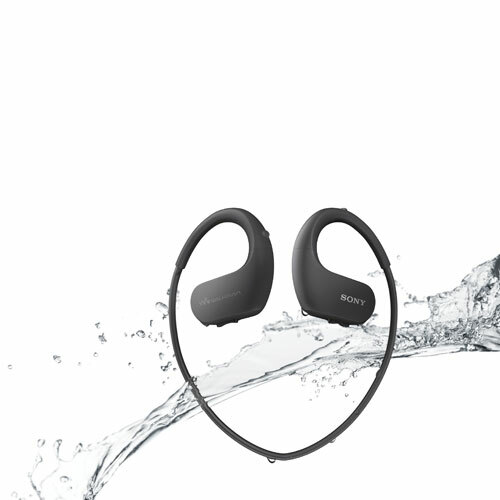 The Sony 4GB Sports Walkman MP3 Player is waterproof up to 2m in fresh or salt water, unlike most water-resistant earbuds, which are only rated for rain and sweat. They’re dust and temperature resistant between -5 to 45 degrees Celsius. For serious workout fanatics, truly wireless earbuds are where it’s at. This style is quickly becoming commonplace thanks to a lack of a dedicated audio jack in newer smartphone models, and more and more great options come out each year. My one caveat with truly wireless earbuds is that, well, they’re truly wireless. They’re easier to misplace than a wired set of earbuds, and if one falls out, it’ll probably hit the ground. But the trade-off is a nearly-weightless experience with no cords or wires at all, and in my opinion, they enrich a workout enough that I’m willing to drop them every now and again. I recently reviewed the Jaybird RUN In-Ear Sound Isolating Truly Wireless Earbuds, and I really enjoyed them. They’re my top pick for something water-resistant, Bluetooth, and truly wireless, and I love their charging case. From Bose, the Bose Soundsport Free Bluetooth Headphones are another great option, and from Jabra, the Jabra Elite Sport In-Ear Noise Cancelling Wireless Earbuds also come well-reviewed. It’s tough to pick the very best fitness headphones out of such a selection, but knowing what you love to do can make it easier. For walking, cycling, or running I enjoy using truly wireless earbuds, like the Jaybird RUN In-Ear Sound Isolating Truly Wireless Earbuds. They’re also my pick for an all-around pair of in-ear headphones or earbuds; with their ability to charge in the case and their comfortable design, they make good everyday earbuds, too. 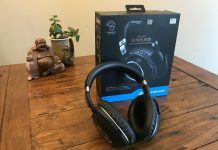 For weightlifting or equipment-related gym activities, I recommend prioritizing your sound quality: the Monster Clarity HD On-Ear Sound Isolating Wireless Headphones are a great pick. For skiing and snowboarding, I actually wouldn’t recommend using fitness headphones – they’ll either be too small or too bulky. Instead, consider option for something like the Caseco Dual Layered Men’s Ski Bluetooth Toque, which delivers stereo sound with a built-in mic and Bluetooth connectivity. It’ll keep your head and ears warm, and unlike tiny earbuds, it’s hard to lose on the slopes. For swimming, I recommend the Sony 4GB Sports Walkman MP3 Player. It’s really important to chose a model that’s not just splash-proof but also water-resistant to up to 1.5-2 metres, and the Sony Walkman MP3 Player fits the bill. 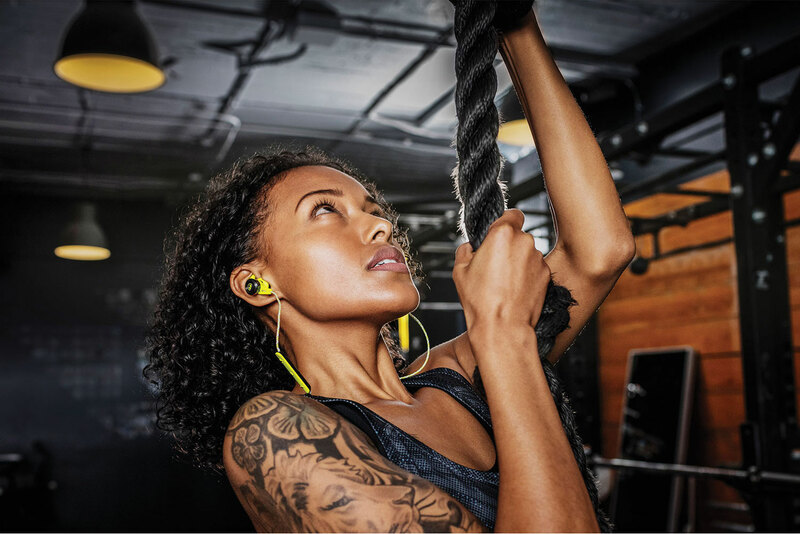 Go forth and explore fitness headphones at Best Buy to help you stay active throughout the year.